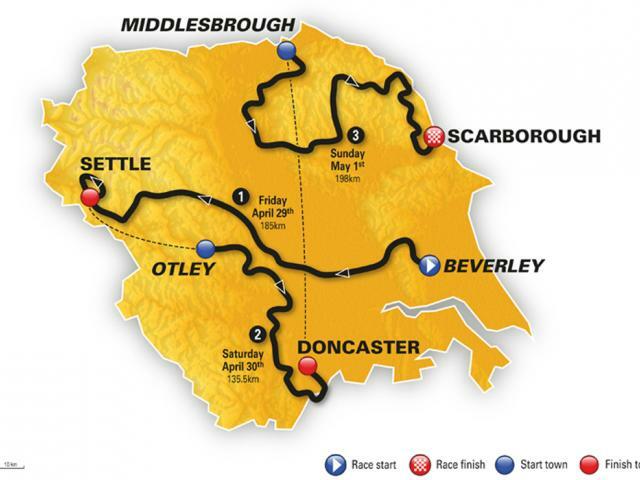 Details are still being finalised, but the road closure at Settle on Friday 29th April will be extensive as it is a finish area for the 185km Stage 1 from Beverley. The Market Place and main road will probably be shut from 6.00am through to the finish. However, you’ll most likely to able to cycle or walk through until much nearer the race is due in. Earlier on the riders will be joining the Way of the Rose route at the Brimham Rocks crossroads (near map mile-marker 65) and then through Pateley Bridge for an ascent of the Cote de Greenhow Hill, where professionally gritted teeth and lowest gears should be much in evidence. The rolling road closure for this climb will probably be a bit longer than the usual hour elsewhere on this section.